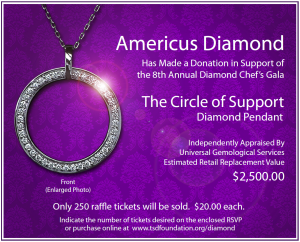 We are raffling a beautiful $2,500 diamond pendant necklace, donated by Americus Diamond San Antonio. Raffle tickets are $20 each. 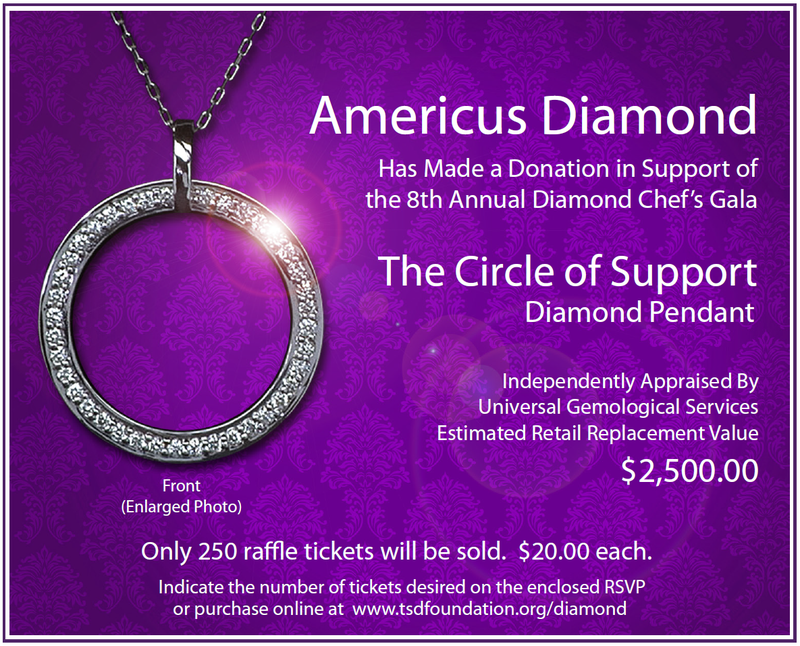 We are only selling 250 raffle tickets, so purchase your raffle tickets early! You do not need to be present to win. If you purchase a raffle ticket online, we will write your information on the raffle ticket and will send you a copy of your ticket. You do not need to bring the copy of the raffle ticket to the Gala. If we have any tickets remaining on the night of the Gala, you may purchase additional tickets onsite. Remember, there are only 250 raffle tickets for sale!